Crimson Ice is a bringer of inner peace. 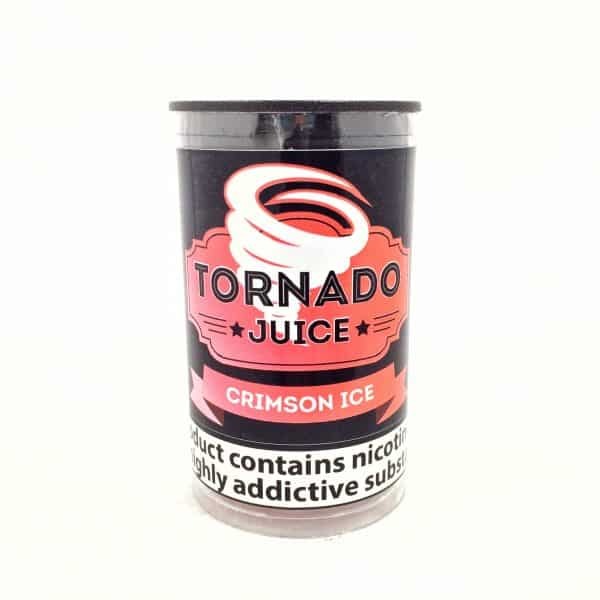 Once you start to vape the Crimson Ice, your mouth will be filled with a mixture of tantalising combinations of the sweetest of berries, with a fiery fennel undertones, topped with a slightly cool, refreshing and soothing blast of Freshness. Crimson Ice has many over tones and under tones which makes her complicated, hard to work out, but delectable to vape. Can you guess what flavours are in this complex mix? All of our Tornado range comes in 3x10ml TPD compliant tubs.